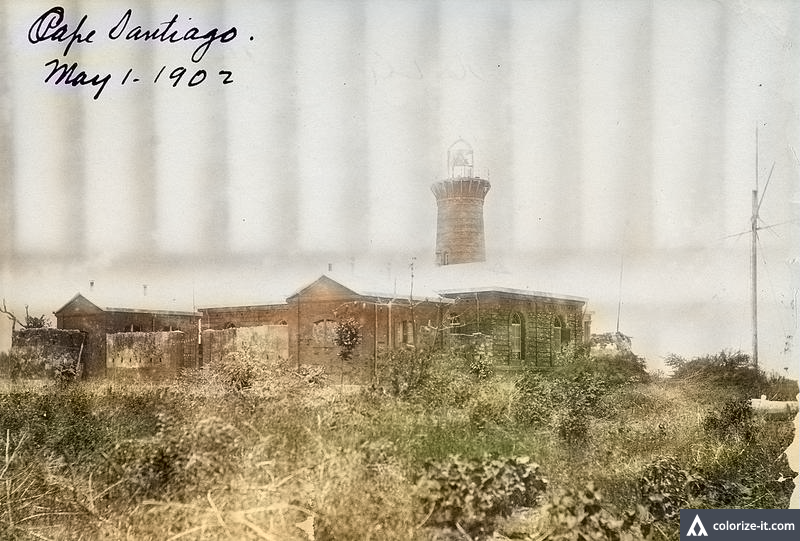 The Cape Santiago Lighthouse in Calatagan, 1902. Image source: United States National Archives. The Cape or Punta Santiago Lighthouse in the western Batangas town of Calatagan was built in the 1890s and is one of the oldest standing structures in the town in the present day. It was modeled after European Medieval castles and built with bricks and lime cement. 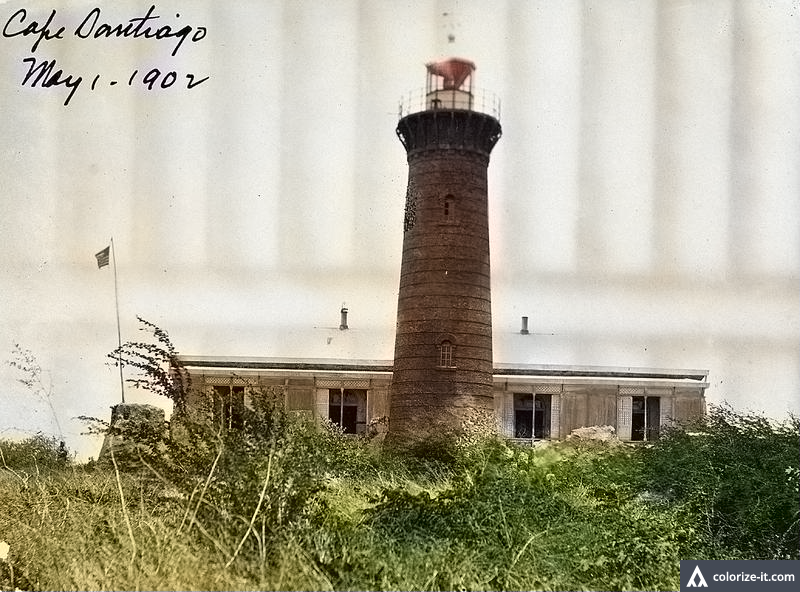 Included in this post are two photographs of the lighthouse back in May 1902. Taken from different angles, the photographs were originally in black and white but have been enhanced with software and then colorized. Both pictures were downloaded from the United States National Archives, its original uploaders being the Bureau of Lighthouses. The Cape Santiago Lighthouse in Calatagan, different angle. Image source: United States National Archives.